Garlic that we use in day to day cooking is known for its medical value. This belongs to onion family, used all over the world for its smell and medical value. Some may like strong spicy flavour of garlic and some may not like it. Due to its medicinal value, it should be added in our daily diet. It is good in treating stomach disorders and controlling our blood cholesterol. 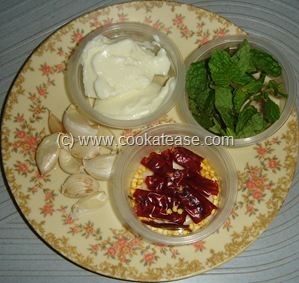 Garlic butter can be prepared easily with raw garlic and mild spices. Those who love garlic flavor, will definitely like this. 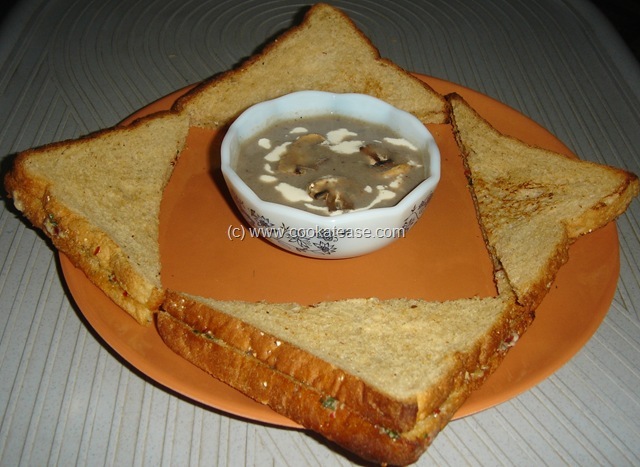 When I feel heavy and dull, I prefer to have bread toast with garlic butter and vegetable soup. 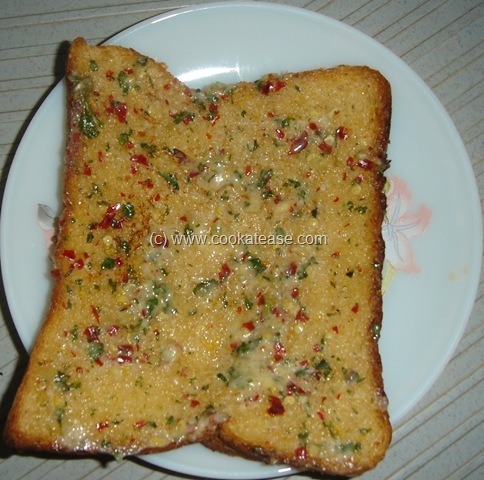 Grind red chilli with salt to coarse powder in a mixer; add peeled garlic, mint leaves and run the mixer once or twice; you can see garlic and mint leaves are minced; add this mix in butter and mix well; garlic butter is now ready to be used as a spread in toasted bread; now toast the bread in a tava or a bread toaster. 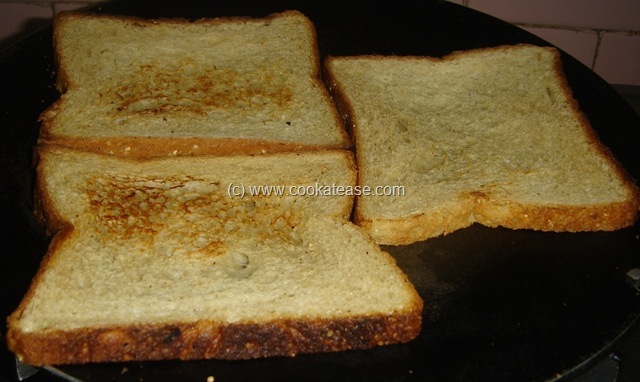 Immediately apply garlic butter so that it spreads well on the bread; keep another bread on top, press lightly and cut into any shape as you like; serve with any soup (I prepared mushroom soup). 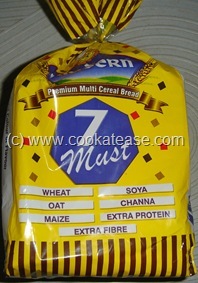 You can try out with round bread also. 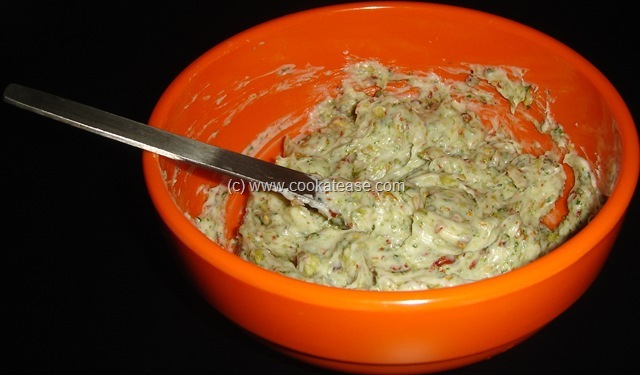 Garlic butter can also be spread on chappati and relished. 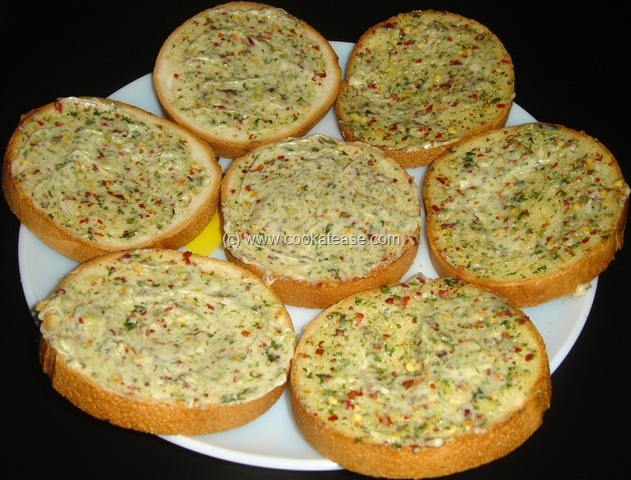 Loved that round bread topped with garlic butter…wondering whr do I get that round bread in Indian markets? Yumm!! love garlic bread and this garlic butter tempts me lot..
BTW, is cheese not used in it? ?